Often when packing up boxes to ship to Amazon you will have extra room. You can fill this with bubble wrap or air packs, but this is just a needless extra expense for the shipment. 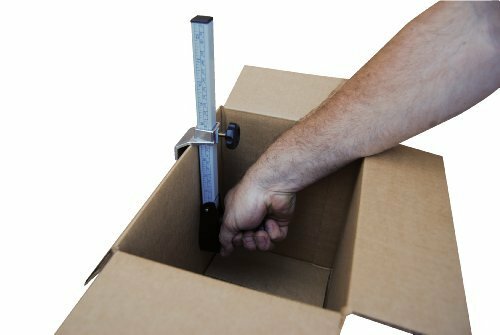 Some people already know to cut down the box to make it a tighter fit, but using a knife or razor to do it can weaken the box or even cut holes in it. The solution is the box resizer. The box resizer creates a perforated line around each side if the box. Then you cut the corners so the sides can fold down along the perforated edge. You may still need some bubble wrap or air packs, but by cutting the box down you will decrease shipping costs and packing material expenses. How small can this resize a box that is 18 x 18 x 24? You cannot resize the width, obviously, without destroying the structural integrity of the box, but you can resize the height. Assuming your 18 x 18 x 24 inch box is 24 inches high, then the resizer could resize it to 12 inches high. If it is 18 inches high then it could be resized to around 6 inches high. You adjust the amount of resizing manually and the resizer has a ruler on the side of it to help you measure and set it to resize a specific amount.